This July 13, 2018, file photo illustration shows a container of Johnson's baby powder made by Johnson and Johnson on a table in San Francisco. 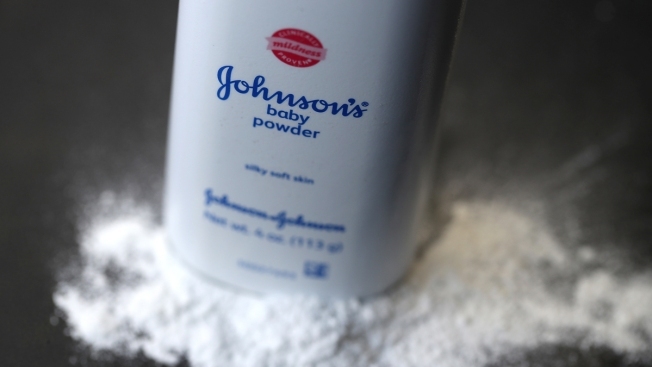 Johnson & Johnson acknowledged Wednesday that it was subpoenaed by the Department of Justice and the Securities and Exchange Commission over litigation involving alleged asbestos contamination in its talc powder, Reuters reported. The disclosure, made in the company's annual report, is the company's first admission that it's received subpoenas from federal agencies over its Baby Powder line. The company faces lawsuits from thousands of plaintiffs who say the talc products caused cancer, though the company said Wednesday that independent tests have shown the product is safe. The Justice Department and SEC did not immediately respond to Reuters' requests for comment. Reuters reported in December that Johnson & Johnson knew from tests between the 1970s and early 2000s that small amounts of asbestos, a carcinogen, were occasionally found in its talc and powder products, but did not disclose that information to regulators or the public.